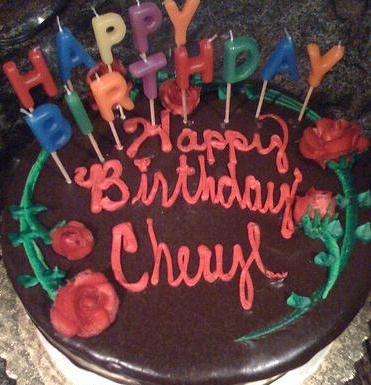 The “Cheryl’s Birthday” problem has attracted a lot of press, with CNN, the Washington Post, Slate, and the Telegraph and countless others weighing in. There’s plenty of explanations that give a good overview of the problem and show you how to work out the solution to the problem via a series of logical deductions. But what if we could just ask a computer to find the answer for us? The heart of the problem are the statements exchanged by Albert and Bernard. Initially, neither Albert and Bernard know when Cheryl’s birthday is, but through deduction they mutually arrive at a unique, correct answer. This must mean that, somehow, the set of possibilities offered by Cheryl satisfies some set of properties that make it possible for Albert and Bernard to arrive at the answer. If we can write these properties down into a form that a computer can understand, we can have these deductions done for us. Wouldn’t that be nice? Enter Prolog! It’s pretty rare that I ever pick it up, but this seemed like a great excuse to try it out again. Let’s see where we get! If you want to install Prolog yourself and follow along, follow the directions here. You can load Prolog programs with prolog -e x.pl. * Set `result` to the first element of `list`. * Set `result` to be `e`, if `e` is smaller than `result`. elements `E`, `e` <= `E`. This is an interesting inversion of responsibilities relative to imperative programs: instead of telling a computer what to do, we say what the answer has to look like. Then the computer is free to decide how to arrive at the answer. ; is disjunction in Prolog, similar to the or keyword elsewhere; , is conjunction, like and. All Prolog programs adopt this approach. We describe a series of true statements, then ask Prolog to evaluate a question to see if there is an answer that is consistent with everything we described. Those statements can take the form of either facts or rules. Facts are true statements in the universe of the program, like “grass is green”, “Bob is a person”, or “Alice is Bob’s sister”. In Prolog, we might express these as green(grass), person(bob), and sibling(alice, bob), respectively. Rules tell you how to evaluate a set of circumstances to decide if they’re true or not. For example, we might define a rule like parent(X, Y) :- mother(X, Y); father(X, Y). ; this could be used to express the rule “X is Y’s parent if (a) X is Y’s mother, or (b) X is Y’s father”. Facts are like rules whose body is just the predicate true. That’s about it. Let’s see if we can use Prolog to help us solve Cheryl’s birthday. Doing anything useful in Prolog is about constructing the correct set of facts and rules to describe the universe you want to talk about. Our task is to represent the problem statements as facts or rules so that we can arrive at the correct answer. The rule form is nicer if we have a lot of birthdays to check, since we can just add an element to the list. We’ll need to transform each of these three statements into Prolog to find the answer. We’re looking for a <month, day> combination that makes it possible for each of the three statements to be true, so we should use some rules to represent that. We’ll start with Albert’s first statement. The findall predicate produces a list that satisfies all the constraints of the goal, the second parameter. In this case the predicate is true if the list of candidate birthdays has two or more elements. The [...] syntax denotes a list, while underscores mean “an arbitrary result”, so [_ , _] means “a list with exactly two results”. Adding the list constructor | here means “the rest of the list”, so [_, _ | _] means “a list with exactly two results, followed by zero or more results”. So the overall effect is what we want: only candidate birthday months that have at least two elements. This accounts for the first half of Albert’s statement – that he didn’t know what Cheryl’s birthday was, because there is not yet a unique answer. We also need to account for the second half of Albert’s statement: Albert knows Bernard doesn’t know the answer, either. The only way Albert could know that is if Bernard had a unique answer. And Bernard could only have a unique answer if his day uniquely determined his month. Bernard now says he knows the answer. He knows that Albert must hold a month which doesn’t decide the day – so he knows Albert is holding July or August. Since he knows the answer, it must be because every date uniquely decides a month at this point. Therefore, Bernard can’t be holding 14, because that could be either July or August. This rule returns true if the month and day of a given birthday are in the candidate list, and if they uniquely determine the day after taking into account the second statement. Fantastic! Logic programming isn’t suitable for everything, but it unquestionably shines at solving constraint-based problems like this one. You can see the GitHub repository for our script here if you’d like to experiment with things yourself. It is borrowed almost completely from Charles Perng’s version. And finally, if you’d like to read more about Prolog, there are a lot of great resources around the web. The one that helped me the most was Learn Prolog Now! by Patrick Blackburn, Johan Bos, and Kristina Striegnitz. You can also check out the very excellent IRC channel, which is ##prolog on Freenode. Want a gentle ping whenever I write something especially cool? I'll never sell or give away your address, or may the wrath of a thousand suns befall me.